Your blog/podcast/vlog should mainly be about film or a film niche. For example we have members that blog about fashion and cooking from a film perspective. Your blog/podcast/vlog must have been active for at least four months. Your blog/podcast/vlog must have at least 30 entries. Your posts should ideally be date-stamped. If you endorse illegal activities like pirating or torrenting on your blog/podcast/vlog, your application will be denied and our legal department may report your site to authorities dealing with film-piracy. This is primarily an English-speaking community and association, so if your blog is written in another language it’d be great to have a visible and functioning translation widget. Similarly, foreign language vlogs should ideally be subtitled in English. Apologies, but non-English podcasts will not be accepted. If any of the points above are abused by a current member we reserve the right to revoke your membership. Also your membership will be revoked if you stop blogging. A blog is considered dead if you haven’t posted an update in six months. By submitting your entry for a LAMB membership you consent to fulfilling the above points and you also give us the right to publicize links and excerpts to your blogposts/podcasts/vlogs in all our channels, mainly the LAMBsite/twitter/youtube/facebook/the Daily LAMB/the LAMB letter. Also, it should go without saying, but please put up a link to the LAMB on your site as well. Here is an array of buttons for you to choose from that can be posted on your site(s). It’s the same deal as any of those buttons from any of the myriad blog directories – just grab the code listed below the one you like and paste into an HTML text box or link list (you can figure it out) and voila! A linked button to the LAMB. ETA: If you’re on WordPress and having issues with any of these widgets, see comments at the bottom of this post. UPDATE 2/2/08: For those of you with black backgrounds on your site(s), here are some buttons with, uh, black backgrounds. It was driving everyone crazy to see white backrgounds on sites with black backgrounds. Crazy? You bet. UPDATE 8/25/08: For those of you with backgrounds that aren’t black or white, this button will blend to whatever background color you have (Thanks go out to Dreamrot of $7 Popcorn). UPDATE 3/21/10: For all you horror bloggers out there (or perhaps just those with dark minds), here’s a custom banner that I wholeheartedly approve of (Thanks go out to Ghidorah of http://acheteretentretenirsatronconneuse.com/blog). UPDATE 6/28/10: Here’s another one for the horror-inclined, created and submitted by Chris of Unflinching Eye. It features an image from the film Black Sheep (as I believe the one above does as well). 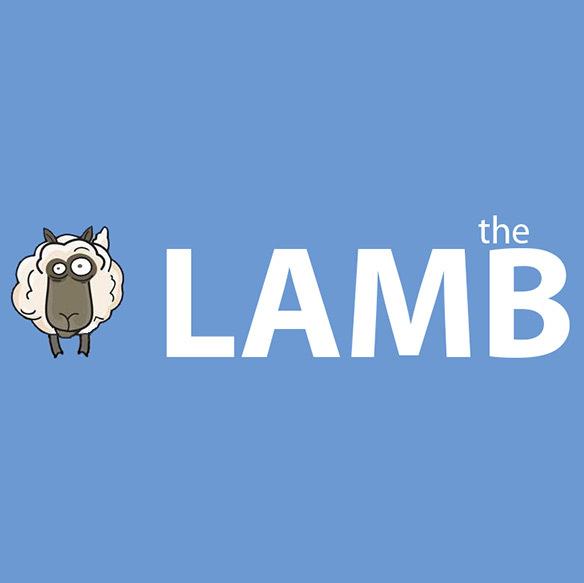 UPDATE 10/14/10: Here’s another one, this time for those folks that might like to include a LAMB logo alongside their Twitter/Facebook/other social networking icons. This one was altered by the designers over at Bestforfilm.com – thanks! If you have any questions or comments, send them to largeassmovieblogs@gmail.com or leave a comment below. Thanks! Is there a system to check this? I’ve come across a few sites that have stopped blogging for over a year. I submitted my blog a few months ago, but haven’t heard from you guys. Something wrong? I submitted my blog to several months ago. Is there a way to check the status? Seconding this! If I remember correctly, I applied for membership in February. Has there been a freeze on new memberships? Good Day, If I gave you the name of my Blog could you please advise if it falls under the rules for selection? Does this organization actually exist? No one hears back from anyone! I applied more than an year ago – I wonder if I should apply again? I don’t think this group or website is active anymore. There are no replies to anyone so why bother re-submitting? As many of you have noticed, it’s been a while since any new members have been let in. We’ve sorted out some admin issues and all the pending membership submissions, and will be processing them shortly. There is no need to re-apply, everyone who has submitted their blog and whose site is still up and running will become a member soon. Apologies for all inconvenience caused. Thanks for the clarifications Jay. I was wondering what was happening! I’ve heard of LAMB a lot lately on Twitter. After looking into it, I can see this is a place I definitely want to be part of. I hope you’ll accept my application. Thank you for taking the time to look over such an awesome group of movie enthusiasts. Hey, I was looking to add a link on my blog, but the link runs off the page on those icons above. I’ve tried it in both Google Chrome and Firefox.. I recently changed the name of my blog which I have had for 6 years but I’ve only had the new name (and same content) for less than 2 months, can I still apply? I’ve checked your sites Katie and yes, you’re still eligible as you’ve linked to your former site. Looking forward to have you aboard! Hi Katie, I approved your application yesterday, “She Likes Movies” is LAMB #1860. If one has been doing reviews on a twitter account since beginning of year but didn’t officially start blog site until a month ago, is it possible to join now or will have to wait two more months? Hi Debbie, I’m afraid you’ll have to wait until your blog is at least 3 months old. Your blog looks great though, and we’d love to have you as a member once you are eligible. If you would like to submit your application before you are eligible I will process it once the correct date comes.